This isn’t a sponsored post, it’s just a really positive quick review of a product we purchased! 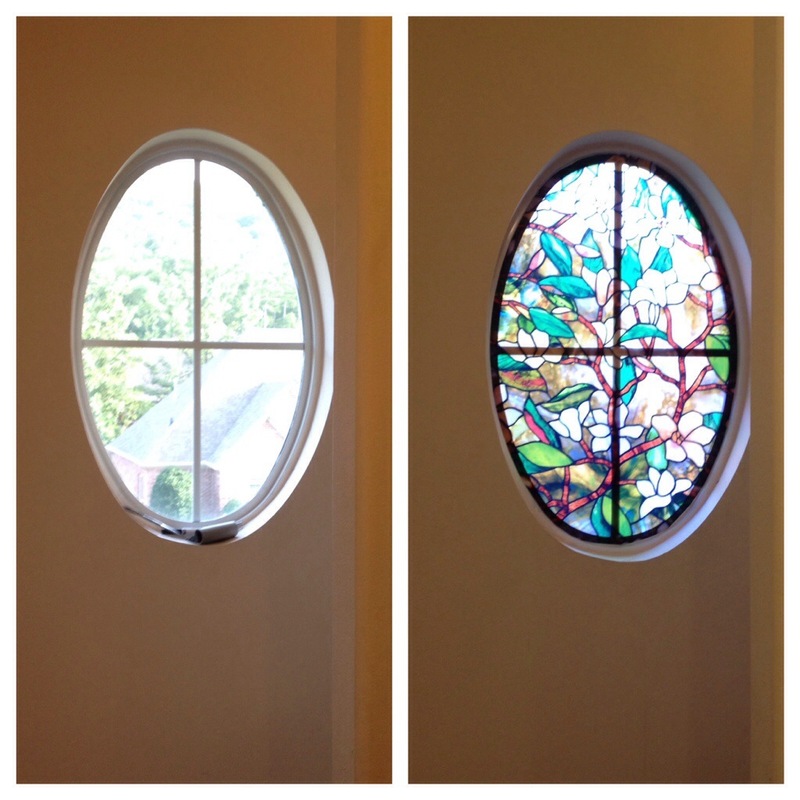 See, we have this pretty oval window on the second story of our house that is about 24″ x 36″. 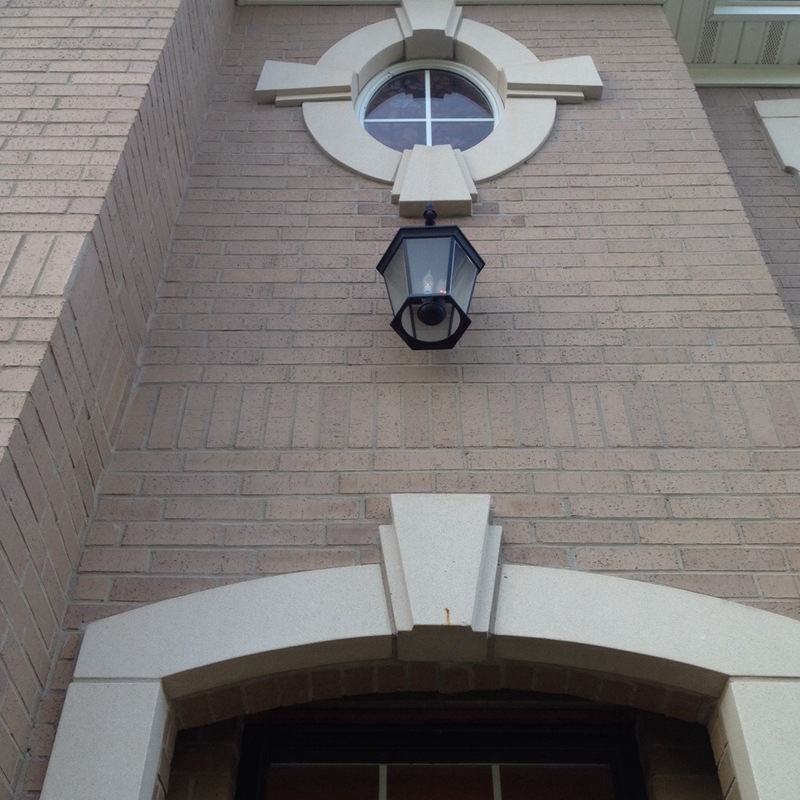 It is centered just above the front door and adds quite a bit of architectural interest. The problem: I could not figure out how to dress it. If I were to add curtains, the oval would no longer be visible from the interior. That would be such a waste of a visually interesting element. However, it NEEDED to get dressed. “Why?” you ask. Well, it HAD to be addressed due to privacy concerns; it’s a bathroom window! 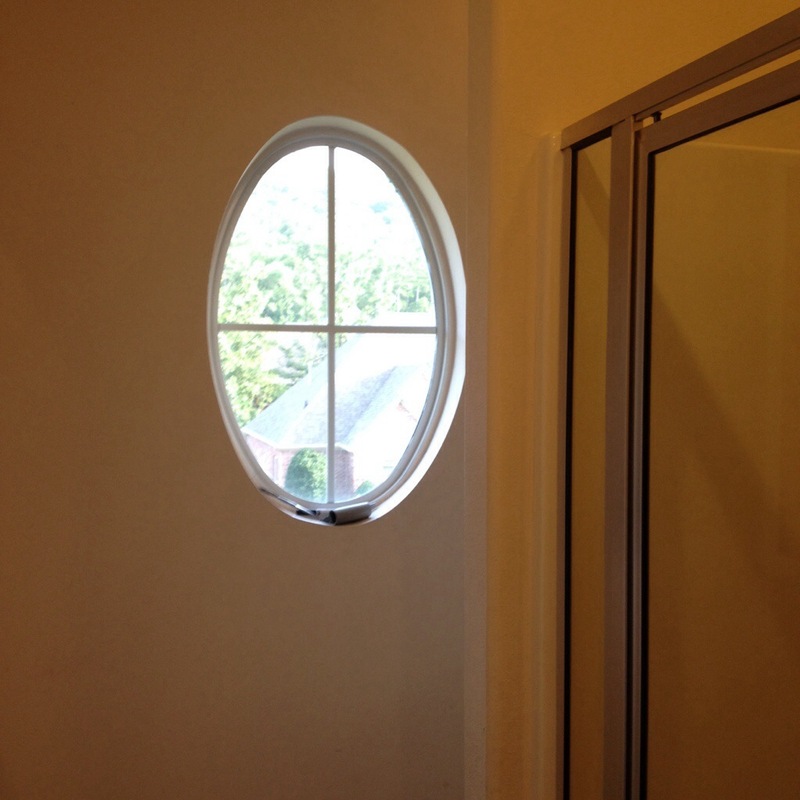 The oval window is in a bathroom shared by our three daughters. On a trip to Home Depot (a local home improvement store,) we noticed this product by ARTSCAPE. It’s a film that clings to the window without adhesive! It comes in a wide variety of prints that offer all levels of privacy from a subtle frost to elaborate stain glass designs. 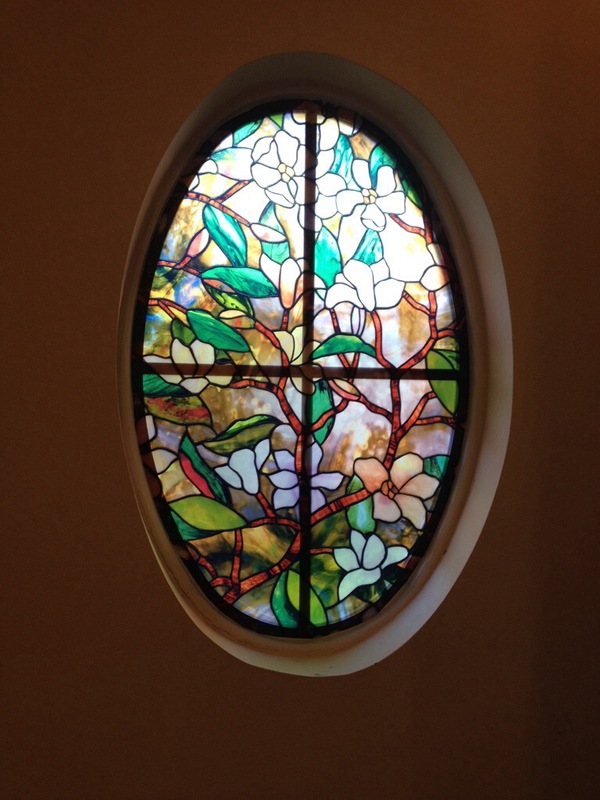 We opted for the “magnolia” stained glass option. It came with easy to follow instruction and installed easily in just a few minutes! Now, our privacy concerns have been addressed, the architectural interest of the oval is still visible, and the film is really, really pretty. Our daughters LOVE it! Our middle daughter wants to know if we can buy more for ALL of the big windows in her bedroom! We’ll see. I have to research a little to find out if it comes in larger sizes, too! 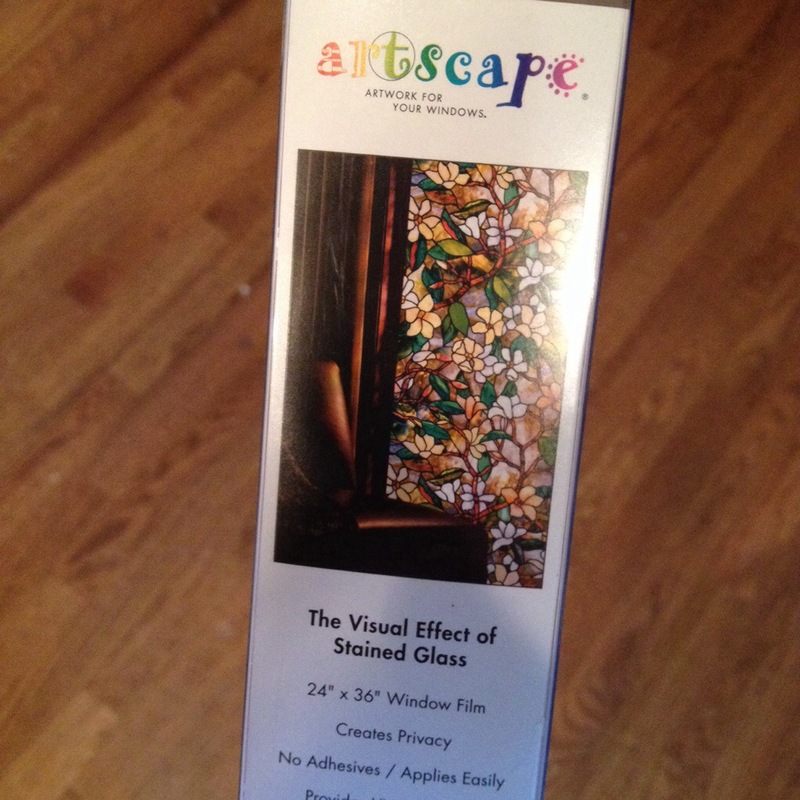 I’ll check their website, www.artscape-inc.com. 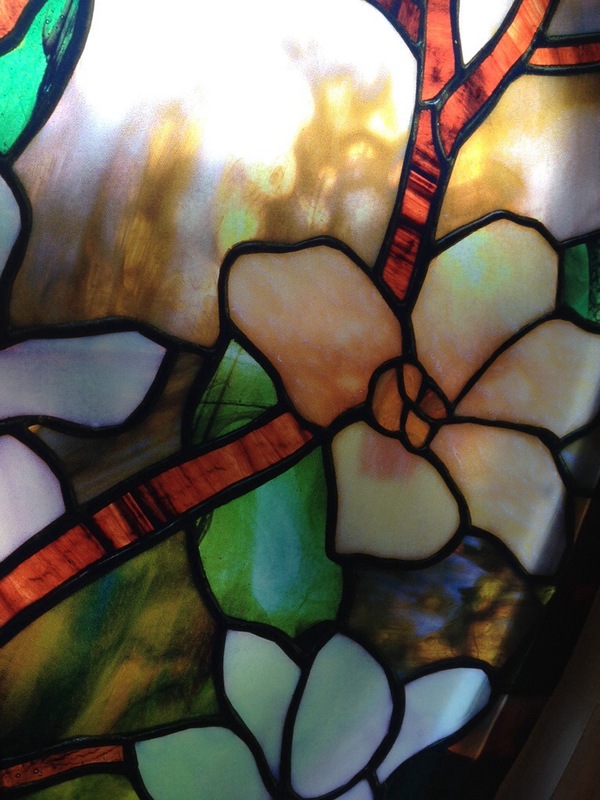 Posted on July 2, 2014, in Uncategorized and tagged Arkansas, decor, design, stained glass, window film. Bookmark the permalink. 4 Comments. Wow! How pretty would that be over a mirror, as wall haning! It’s just the perfect solution! I’m glad your girls like it!